Many professions and industries ranging from automotive repair to product assembly to machinery maintenance to building construction use impact wrenches. 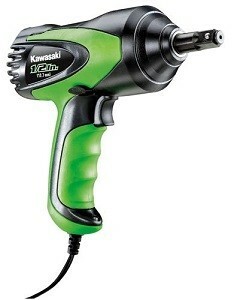 In fact, you will find these power tools everywhere as a shop standard because of their extreme utility. No matter the industry, today’s work requires more ease and efficiency than ever. If saving time, reducing fatigue, and reducing frustration from busting your knuckles are important to you, an impact wrench is your answer. When it comes to impact wrenches, there are many wrenches on the market today with a whole lot of factors to consider. So, we have broken down the basics and recommended our favorites in this buyer’s guide to make the job of selecting the right one that much easier. Before going too in depth, if you already know your way around impact wrenches and are just looking for a quick recommendation or to validate what you already know, below is a quick reference table designed to help you compare the best impact guns around. The table consists of our favorites with pricing and average rating. If you want to learn more before making a decision, feel free to read on! According to our research, in 1939 Chicago Pneumatic designed and manufactured the world’s first pneumatic and electric impact wrench. Impact wrenches are known today by many names such as impact, rattle gun, torque gun, air wrench, and air gun. Typically, a power supply (air, electricity, battery) provides power to the motor. The motor transfers energy to a rotating mass. The mass acts like a hammer and provides a torque spike to the anvil. The anvil turns the socket using the hammering torque spikes until the fastener is loose. The most popular style impact wrench is the pistol grip. The pistol grip is “L” shaped and easier to hold and control than most other types. The pistol grip is designed to keep a smaller profile to allow access into tighter spaces. You can find pistol grip impacts powered by air or electricity. Impacts also come in-line or straight where the body is straight with the grip, and the anvil sticks out of the end to mount your socket. The hand position for these is similar to the hand position when using a screw driver. For this reason, in-line impact wrenches are designed for lower torque applications and are not as easy to control under higher torque situations. You can find in-line impact wrenches powered by air or electricity. Impact wrenches can be found with all the standard drive sizes from 1/4” to 1/2” or even larger in applications such as the construction of buildings. The most common drive sizes for professional and personal automotive applications are 1/2” drive and 3/8″ drive. Why and When Would an Impact Wrench be Used? 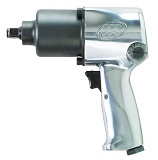 As far as when to use an impact wrench, an impact wrench is primarily designed to remove or install bolts and nuts. 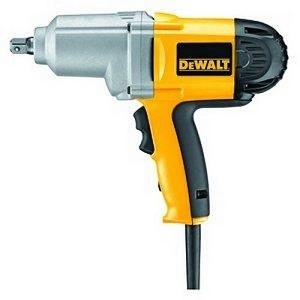 Whether you are removing lug nuts when you want to rotate tires, subframe bolts when you want to maintain your suspension on your car, or rod bearing caps when you are rebuilding your engine, an impact wrench will make quick work of these tasks. It should be noted that fasteners can also be tightened with an impact wrench as well, but it is recommended that you do not torque bolts all the way with an impact wrench to avoid damage. Instead, safe practice is to use the impact wrench to turn the screw most of the way down and then finish tightening by hand to avoid damaging the bolt or mating threads. When it comes to why to use an impact wrench, their main advantage is that they allow you to remove a fastener quickly without the need for excess muscle strain or fatigue. Doing so can severely cut down on the time required to do tasks like rotating tires, removing exhaust headers, dropping transmissions, or other tasks that require removal of multiple bolts. Another reason is that they are often more friendly when working in tight spaces. As such, using an impact can save you from busted knuckles. Finally, an impact is a great tool when you don’t have enough leverage with a manual wrench to break a stuck fastener free. The risk of over tightening a fastener is the biggest problem when using an impact. Over tightening a fastener can result in stripped threads or a weakened bolted joint that can fail unsuspectingly. You can also twist the head off a bolt if the impact is providing too much torque, which means you will have to spend the time and energy drilling out a bolt. If you’ve never had to drill out a bolt, consider yourself lucky! It’s a serious pain. The way to avoid over tightening a fastener is to stop short of tightening it and finish torquing by hand. Another thing people often get wrong is that they try to start threading a bolt using the impact wrench. 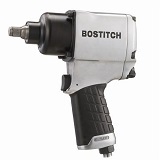 If you are going to drive a bolt in using an impact gun, start it by hand first. This will assure that you avoid cross threading your bolt. Next, don’t use regular sockets that are not designed for impact wrenches. Standard socket designs made with thinner walls can crack. It’s not uncommon to see standard sockets break, sending pieces everywhere. Standard sockets will wear and strip out very quickly. Make sure your sockets are designed for use with an impact wrench by picking up a set of impact sockets. Finally, some people make the mistake of not wearing eye protection while using an impact wrench. Any time you are placing that much force on metal components, it’s a good idea to throw a clear pair of safety glasses on just in case something decides to chip off and go flying. Not wearing safety glasses can make something that otherwise would have been a minor annoyance into a medical emergency. While the reality is that there are many different types and shapes of impact wrenches, the three largest categories are air powered impact wrenches, electric impact wrenches, and battery powered impact wrenches (also known as cordless impact wrenches). As their names would imply, air powered impact wrenches rely on compressed air for operation. 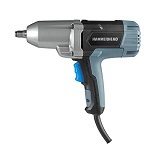 Similarly, electric impact wrenches have a cord and can be plugged into a standard wall outlet. 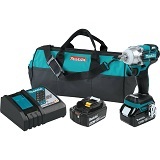 A battery powered impact wrench uses a battery and typically comes with a charging station as well. For the home mechanic, battery powered impact wrenches tend to be the most common due to their high convenience factor. Air powered tend to be the lest common as you need to have some basic infrastructure such as an air compressor and air hoses to be able to operate them. What to Look for When Buying an Impact Wrench. Torque – Having enough torque to remove a fastener is the most important factor. 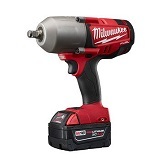 Higher torque makes for a more capable impact wrench. Look for a minimum of 150 ft-lbs (1800 in-lbs). Weight – Some wrenches are heavier than others. For short projects weight isn’t likely a huge factor, however for longer projects where fatigue sets in, you’ll be glad you chose a lighter wrench. When you are fatigued, a heavier wrench is more difficult to control and more tiring to hold. Size – Typically, the smaller the better, however it usually is a tradeoff between size and torque. Smaller size will allow you to use your wrench in tighter spaces, but you will sacrifice a little torque. We usually find that it’s best to balance these two features. Impacts Per Minute – This is how many times the hammer strikes the anvil in a minute. Typically a higher number correlates to a wrench that can drive screws faster and will be able to loosen bolts that are torqued more tightly. No Load Speed – This is typically the speed at which a wrench turns when no load is present. Typically higher speed will fasten screws more quickly, but a higher speed often comes at the cost of lower torque. If you aren’t sure which to pick, bias towards picking the wrench with the higher torque and don’t worry so much about the speed. Drive Size – The most common 1/2” drive will do for most applications. 3/8″ is the second most popular size. Typically 3/8″ will come in a smaller total package but will have less torque than a comparable 1/2″ drive wrench. Torque Adjustment – This allows you to control the output torque of the wrench. This is nice because you can reduce your risk of overtorquing a bolt or snaping a bolt head. Balance and Ergonomics – Not all wrenches are equally well engineered in this regard. Find a wrench that fits your hand, has comfortable grip materials, and is well balanced so as to reduce your fatigue and strain when using it. Warranty – Finding a wrench with a decent warranty is a must. Most manufacturers will offer a 1 or 2-year warranty, although occasionally you can find longer term warranties. You may even find a lifetime warranty on some models, although these usually come at a high cost premium. When weighing the importance of all of the above, remember that the level of priority that each of these features should take is hugely dependent on the intended use. So long as you understand how you are going to be using the tool, you should have no problem picking a solid one. Below are our favorite picks for the best impact wrenches around. We have chosen a battery powered impact, an air powered impact, and an electric impact that we feel can’t be beat. Overall this impact works fantastically, has great fit and finish, is moderately compact, feels great in hand, has no cord to deal with, has an outstanding warranty, and is priced right. For these reasons, we recommend this as both the best battery powered impact wrench and the best all around impact wrench that you can buy. ● 7.2 inches overall length. 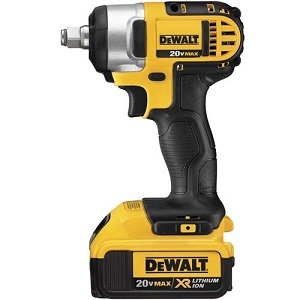 This impact wrench is as good as it gets for air powered wrenches. It has outstanding build quality, works amazingly well, and is very affordable. That said, keep in mind that you absolutely need an air compressor to power this tool, otherwise you won’t be able to operate it. 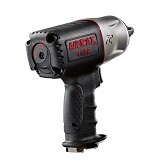 Overall, we recommend the Ingersoll-Rand 231C over all other air impacts! This particular impact wrench, like the other two, has outstanding quality. The fit and finish is excellent, the materials are great, and it is very comfortable in hand. There isn’t a whole lot else we could ask for. It is a little bit larger than the Dewalt battery powered wrench, but also has almost twice the torque. Overall it is a tremendous electric impact wrench and we are confident that it will serve you well. So now you are educated when it comes to making a smart impact wrench purchase. Hopefully you have found this guide to be helpful. While we have recommended some outstanding wrenches, if you haven’t found that any of our recommendations quite fits your needs, know that there are a lot of other great wrenches out there. If that is the case, click here to see pictures and reviews of other excellent impact wrench options out there. Happy wrenching!